How would you rate the quality of your rental experience? How likely are you to rent from us again? The simplicity of this approach allowed for faster results – nearly real-time feedback – that could then be relayed to the company’s far-flung branches. But Enterprise did something else as well: They only counted the customers who gave their experience the highest possible rating. Why ignore the less happy customers? Because concentrating on the happiest customers let the company focus on a main driver of growth – the customers who returned to rent again and recommended Enterprise to their friends. NPS has risen in popular estimation from ‘a nice number to know’ to the most important number you can track for growth for a reason. But to understand that reason, you have to see how real companies are using this information. Receipt Bank is an award-winning bookkeeping platform that saves accountants, bookkeepers, and small businesses valuable time and money, and all of their business is subscription-based. While every business can benefit from NPS, growth of subscription-based businesses are inherently tied to customer loyalty – customers have to choose, over and over again, to come back. Receipt Bank had a challenge though. They recognized the value of measuring user NPS, and so were sending monthly emails to survey sample groups across their user base. 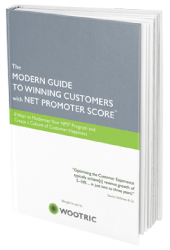 However, this method was time-consuming to set up, and resulted in their NPS score only being updated on a monthly basis. With new initiatives being constantly released across Receipt Bank to improve the customer experience, monthly sampling just didn’t provide the quality of insight needed. In addition to the delay, users were reluctant to respond when presented with another email task to complete. Conversion rates were low. With the happiness of users on the line, Receipt Bank needed a fast, efficient way to gauge how well their product performed. To overcome these challenges, ReceiptBank tested triggering their NPS surveys in-app — while users were logged in and using their product. Their hunch was right, and their survey response rate jumped ten fold in the first 48 hours. Segment offered an ideal implementation solution: It is a central data and analytics platform that allows Receipt Bank to turn on tools for their teams as needed. Every team has its own data needs and its own list of preferred tools. In addition to tools that let ReceiptBank report on marketing campaigns, message their customers, A/B test, and find fresh user insights, they used Segment to integrate Wootric, an customer feedback management platform that delivers the NPS questionnaire in-app, to measure user experience. 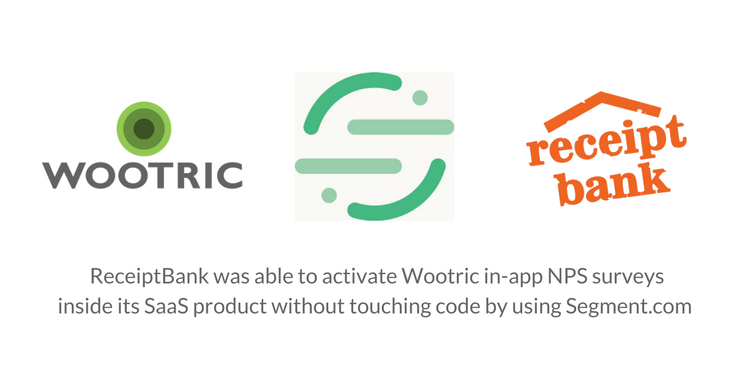 “Because of Segment, Wootric was simple to install and within a few hours, we had live NPS data like we’ve never had before,” says Steve Lucas, ‎Customer Experience Manager at Receipt Bank. Delivering the NPS question in-app, while customers are using the product, continues to result in higher response rates. Not only that, but in-app surveying allows for a more representative sample of their active users, providing more powerful insights into their customers’ happiness. 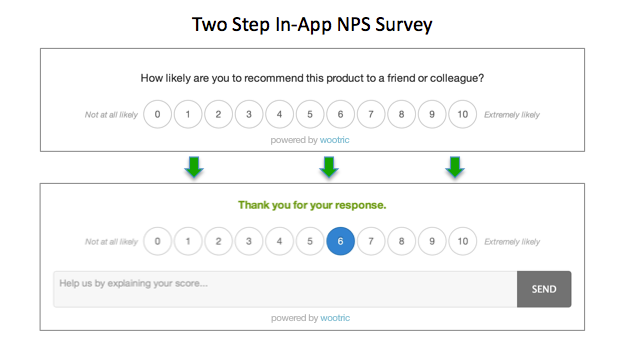 “We’ve seen a much higher response (10x) using in-app messaging to obtain our NPS data. 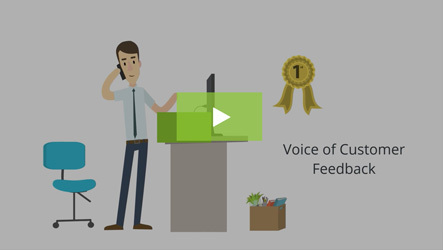 Having a real-time NPS pulse has really helped us support our users better and resolve root causes to improve the CX for our whole customer base,” says Steve. “The combination of closing the feedback loop effectively and identifying common experience shortcomings has allowed us to improve our NPS score by at least 40% in just 6 months,” Steve reports. Once a company establishes its baseline score, it can then pursue A/B testing and other means to continually improve it. Receipt Bank, like most companies, combines the basic NPS question with a qualitative, or open-ended, follow-up question that asks users to explain their answer. 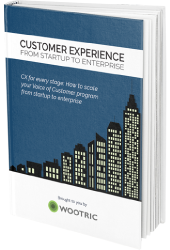 Armed with these insights, companies can test improvement ideas to see what works best for their best customers. 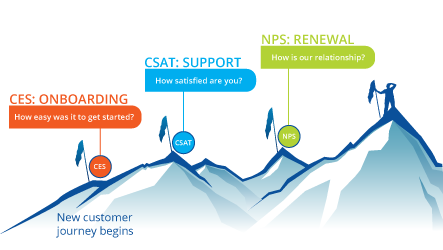 NPS is also a valuable addition to Customer Success programs. 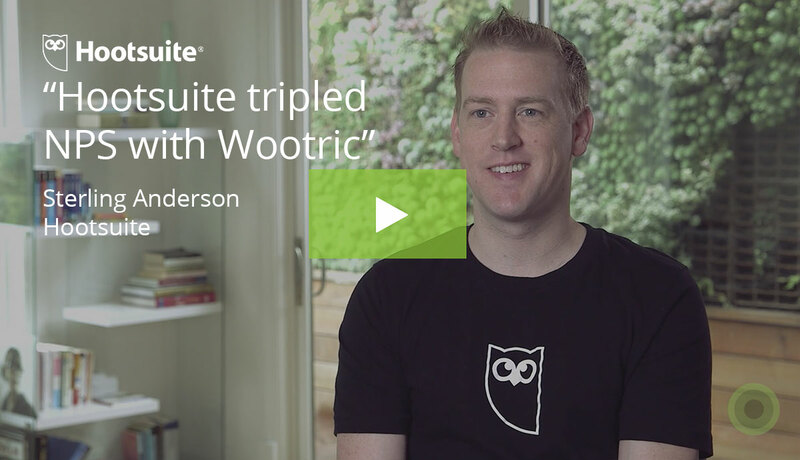 Wootric reports that Customer Success teams use their constant stream of customer health data to save accounts at the first signs of trouble, identify promoters ready for upsells, and celebrate clients’ successes – reinforcing their positive perceptions of the product. NPS works on multiple levels to alert you to trends in your user base, and reinforce your users’ positive perspectives of your company. It’s no wonder that promoters are more likely to become repeat buyers, upgrade their accounts, try new offerings, and recommend your company. Now that you know who is a Promoter, Passive or Detractor, what can you do about it? Promoters offer the most immediate wins. Clearly, they’re already finding success with your product, so the question becomes: Could they be even more successful with an upgrade, expansion, or additional feature? But don’t just focus on selling, even though Promoters may be ready to buy. Show your appreciation. Make them love you even more. These are your best customers! And, most importantly, empower them to become vocal advocates of your brand. Don’t be afraid to immediately ask them to leave reviews for you, Tweet about you, or participate in your latest Instagram hashtagathon. Encourage them to join an “inside circle” of community members in a private Facebook group or section of your site. Making your best customers feel appreciated is the best thing you can do to attract more of them. Passives are tough cases. They’re just not that impressed, and your job is to figure out why. Hint: They’re not achieving the success they’d hoped for with your product, in all likelihood. Why is that? It’s worth your time to find out. Detractors do not like your company and/or your product. And for some of them, it can’t be helped – but don’t worry. They’re probably not your ideal customers. Some of them shouldn’t even be using your product in the first place, like a guy who wants to heat a frozen pizza quickly so he buys a toaster (instead of a toaster oven). But others have legitimate grievances, and they are worth winning back. First, determine whether or not they are your ideal customers (did they want the toaster oven?). If they’re not, point them in the direction of a product – even a competitor’s product – that will get them the results they want. They’ll be so impressed. Non-ideal clients waste time and resources, are never happy, are always willing to jump ship for cheaper competitors anyway, and are more likely to be detractors than promoters. By sifting them out, you can put your focus on target clients who will love you, promote you, and not drive your customer service department crazy in the process. Everybody wins! However, if detractors are your ideal customers, find out why they aren’t willing to recommend you. Did they have a bad experience? Are they not achieving their desired outcomes? All segments, however, benefit from receiving responses to the feedback they so generously give you. So remember to acknowledge their effort with something as simple as a quick, personal thank you. 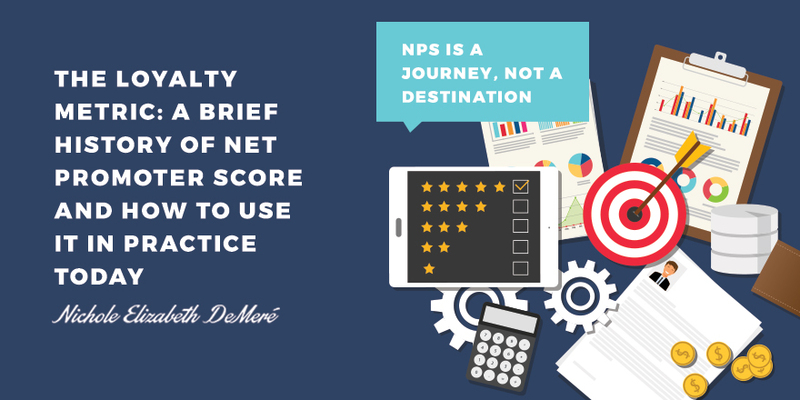 NPS is an ongoing effort that never really ends, and never should. Keeping your finger on the pulse of how your customers feel about you will become central to how you conduct your business – if you let it.